Those that know me are aware I broke my arm in a karate tournament a month ago. It could not have happened at a worse time. Two months ago I made my final payment for my January trip to Rio de Janeiro, Brazil to train with Royler Gracie, one of the top Brazilian Jiu-jitsu experts in the world. When the arm was fractured in three places and the doctor said it would require surgery, I just assumed the trip would be an impossibility. I had a plate inserted in my arm with seven pins holding the bones together. Luckily, the accident also could not have happened at a better time. You see, I was in the best shape since my university days when it happened, thanks to training in BJJ, MMA, and teaching our kids karate classes. The doctor said he had every reason to believe that with the proper rehabilitation of my arm, I could still go to the camp. I was ecstatic. He said that due to my fitness I should heal quickly and be ready to go, even if I am unable to do everything at the camp. My main goal in the next month is to keep myself grappling fit so that when the arm is ready, the rest of the body can cope when I get back on the mat. I Googled and You Tubed all variations of the theme “training with one arm” or “training with a broken arm in BJJ”, but nothing really came up. So I decided to build a program for myself or someone else who has had the misfortune of being able to use only one arm in their training. Here is what I came up with. So far the exercises have kept me in pretty good shape, even though I am not ready to roll. Below is a list of exercises in order of their appearance in the video. Does anyone else have good exercises for a one-armed BJJ student who can’t wait to get back to full fitness on the mat? Since I wrote this post, Dirty White Gi has given me many good ideas for exercises with one arm. 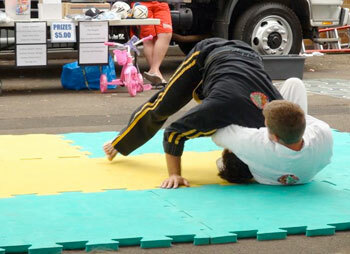 Check them out at http://dirtywhitegi.com/2011/12/15/training-bjj-mma-with-one-arm/. An excellent BJJ blog as well. 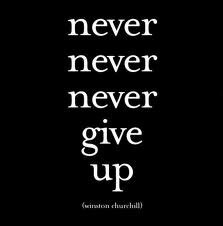 Putting yourself in a position of discomfort is the key to growth in Brazilian Jiu-Jitsu, just like anything else. Students always make comments about how my black belt is turning white. I often explain to them that one day when it is completely white I will have to start over. Why? Because I will then realise how little I know. I am aware of that now so I decided to accelerate this process. No, I did not bleach my belt. It is worn from years of use (and abuse). 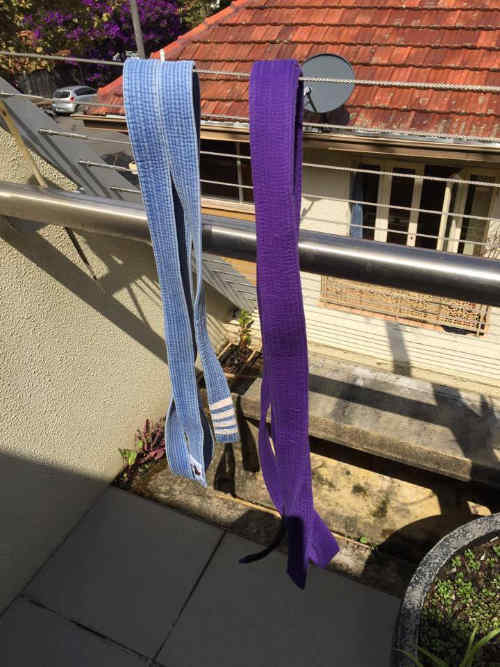 I just started as a white belt in Brazilian Jiu-Jitsu (BJJ). I am aware that this journey may be a long one. It is commonly known that ten years is the normal time frame to progress to black belt in this very difficult and technical art. I am not in it for this reason. Though grappling since before 2000, I decided my ground game could use an upgrade. I needed a new challenge. My MMA skills required better ground work. I see how Brazilian Jiu-Jitsu can make you very fit and strong in a way that will actually improve fighting skill. I also realise that at 52, my stand-up skills are not as explosive as they once were, but a good ground game could offset this. BJJ is an important part of the martial arts puzzle, as we learn from watching MMA matches. Guys bigger than me and with more skill suffocating me in the north/south position or mount. I am learning not to panic, and just go with the flow. 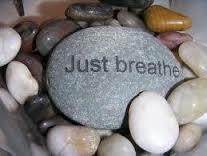 Struggling and stressing about it just wears you out quicker. The instructor who is ten kilos lighter than me tapping me out seven times in a five-minute round. A five-minute round? For someone used to grappling for two minutes, a five-minute round is eternity. Getting tapped out is okay by me because I am learning, but getting tapped out three times with the same move is highly frustrating. I know I am not a quick learner, but this is ridiculous. The instructor getting frustrated at me. After three attempts at the move, I still could not get it. He walked over and threw my leg where it needed to be. Now I get it! Putting myself in an uncomfortable position is the key to growth, and also promotes humility. Humility is a quality that is necessary for success as a martial artist and especially as a teacher of the martial arts. Rolling on a regular basis with blue belts, purple belts, and especially black belts is a sure-fire way to get better, as I learn something from people who are so much better than me. I am clearly out of my comfort zone and out of my league on the mat. I am learning something new and am really pumped. Yes, I’ve bought the books, dvds, and cool Brazilian kimono. I look at this as an investment in an important part of my martial arts future. This is an exciting part of the process for me, the process of discovering something fresh and new. It has infused me with great positive energy. I am getting fitter. Those last five stubborn “donut around my midsection ” kilos have nearly melted off. The five-minute rounds are like running mini marathons, I have not been this exhausted in a long time. I am having fun. 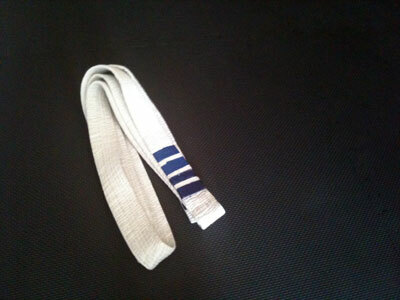 I am a white belt again. Yee-ha!